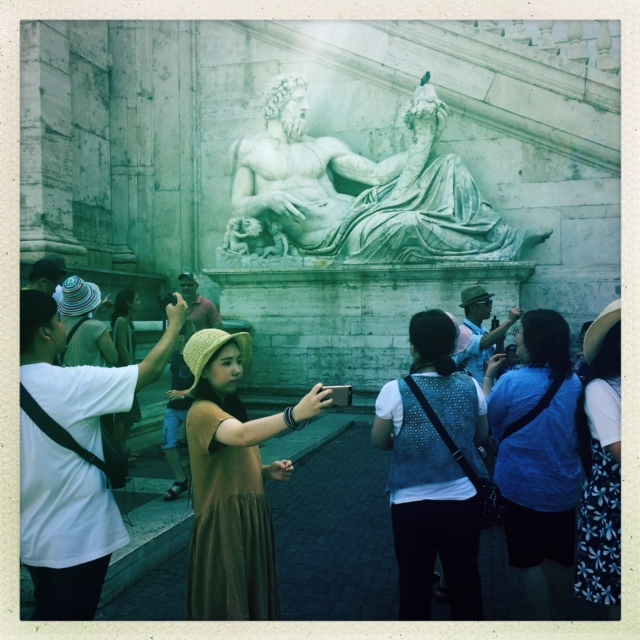 I’m currently in the midst of a ‘Grand Tour’ of Italy, chaperoning two young ladies as we see all the usual sites. I’m presently holed up in a flat on a hill in Amalfi in an attempt to evade the hordes of tourists crawling over the town while my wife takes the kids to eat, drinking 66cl bottles of Nastro Azzurro bought cheap at the local CarrefourExpress and reflecting on an existential dilemma I’ve experienced while here. Unfortunate as well, I’m also dragging around a camera bag heavy with an M4 and a few lenses, 2 Ricoh GXRs, and 40 rolls of film, batteries, chargers etc, unfortunate because I haven’t used any of it since I’ve arrived. They’ve stayed back in the flat while I’ve enjoyed exploring on foot without them, but I’ve still had to drag them from city to city on trains and buses and metros. Given the heat, I decided to use the iPhone for the travel pictures, since I never look at the pictures anyway once I’m home. 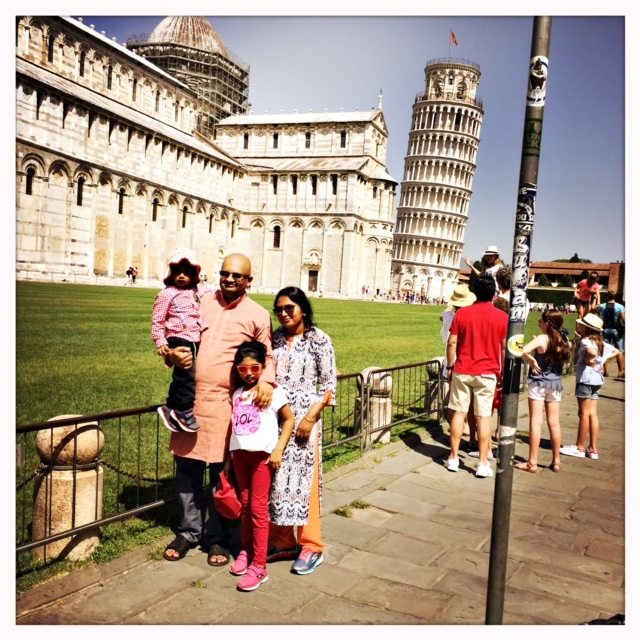 The whole ‘vacation photograph’ thing increasingly seems an exercise in futility – there’s [my wife/me/the kids/some funnily-dressed foreign guy] standing in front of [Trevi Fountain/canal in Venice/Leaning Tower of Pisa etc]. Yawn. It’s the functional equivilent of taking photos of the sunset at the beach. I’m starting to question the very idea of travel photography; in an age of visual saturation, where a thousand pictures of anything are available via a quick Google, exactly what is the point again? 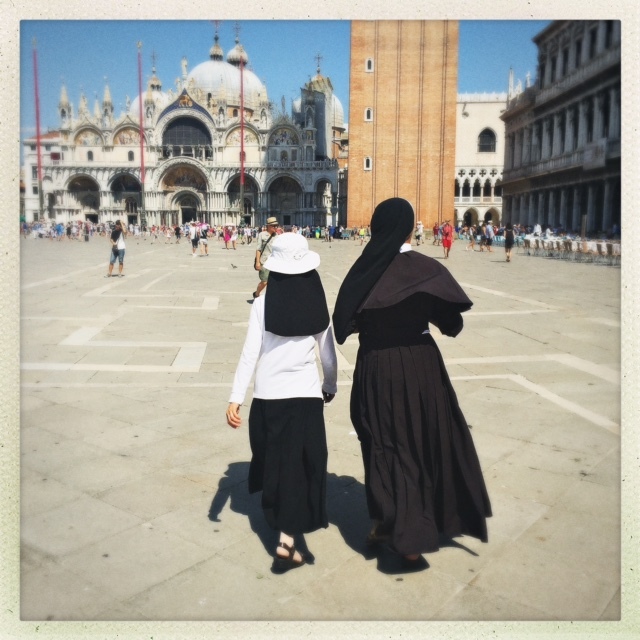 If I do a cursory anthropological study of my fellow travelers, its main purpose seems to be as an emotional crutch, a means of adopting a role to help make sense of the uncertainties of travel. So, my iPhone, in addition to being my phone, map, tour guide, compass, email/txt receptacle and mp3 player (70’s era ZZ Top, back when they were just a Texas Blues band, cranked up to max, fits perfectly while walking through Naples), is serving as my camera. And I love it. It’s so quick and easy, and its fun. Use something like Hipstamatic or Snapseed and you can do all sorts of stuff with a few keystrokes. Of course, so can everyone else, which means your claim to be uniquely creative rests solely on the emotiona/aesthetic/documentary qualities of your output and not on the fact that you took it with a D5 or M10 with Noctilux. Which is the way it should be, in spite of the fact that I still feel like I’m “cheating” in some way. This entry was posted in Uncategorized on August 8, 2017 by Leicaphila. I draw the line at the ‘blur’ functions apps have – they make me a little queasy – especially when, like you, you know what possible narrow depth of field looks like. But yes, the phone you carry is the ‘camera’ that gets the shots that often matter, simply because you are always ready with it (even if that light compact M4 gave you the sense it would fill that need). I rattled off 11 rolls of film in France / Italy last month and enjoyed it. I came back, processed, scanned and printed the ones I liked best. My ‘best’ shots though were with my iPhone. It doesn’t matter. Sometimes at the tourist spots the thing you ‘see’ is when you look away from where everyone else is looking — the line of tour guides holding flags, visitors struggling with rolling luggage along the cobbles, etc. Be near the Roman tower/temple/wall/bridge, but focus on the people looking at these sites rather than the sites themselves (you know this all already of course). Like the sea of raised phones videoing the concert. Not the concert. Anyway, good luck with the heat. Quite agree with you! A kind of story happened with my father, I bought him a nice pocket-size canon s95 for travel, and hi always struggled with options, menus and other complications which always turned to sort number of photos. Once, went to Prague, he forgot battery charger at home and therefore been forced to make photos on iPhone. And it amazed him. He said: look, it’s so easy and beautiful and I made a lots of photos! And photos, actually was better, not because s95 was a bad camera. No, with iPhone my father started to think about visuality, compositions and colours, and it was always with him. So he does not use camera anymore. As for me, I prefer small RicohGR with iPhone, wi-fi and Snapseed. But yes, I could stay with iPhone only. One cannot help but feel a little sorry for the Italians during this time of year. 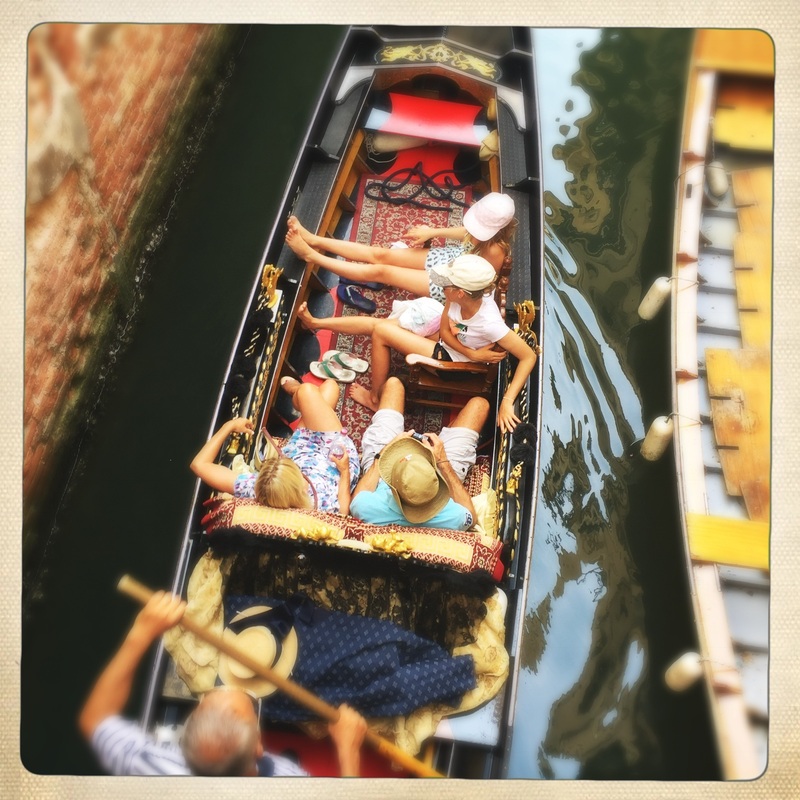 Not only have they got to cope with this heatwave, they’re also each year enduring a tsunami of tourists that’s flooding their historic sites and cities, especially Venice. They can hardly recognise their own country. Yeah, pretty much. My favorite Italian city is Napoli. Not a lot of tourists and a wonderful city. Great food, incredible vibe, beautiful, authentic in a way that the tourist meccas can never be. True. The further south you go the purer it seems to get. Especially the food. 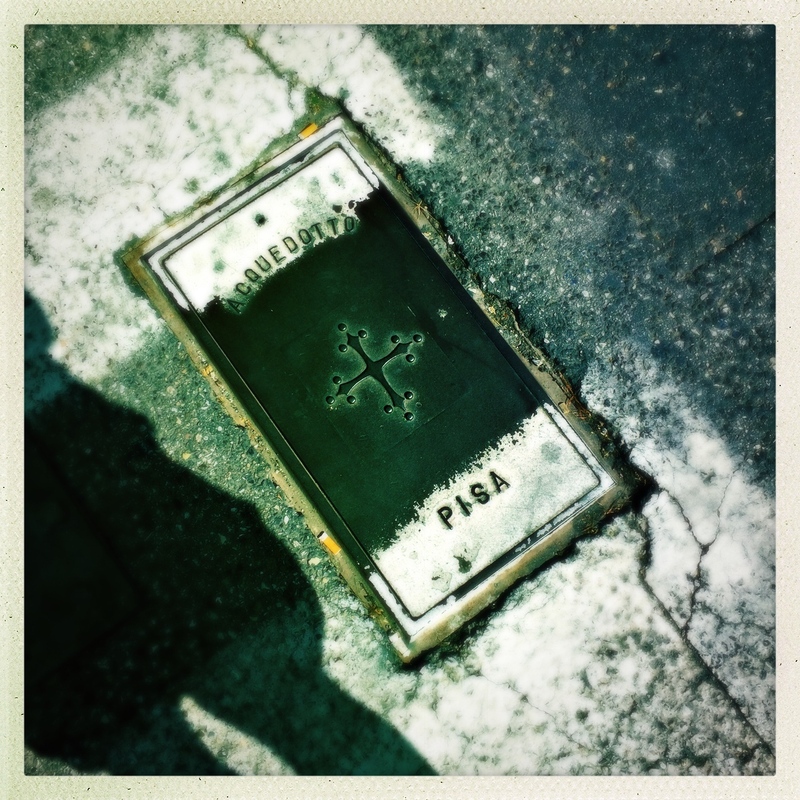 If you happen to be in the Napoli area do check out the island of Ischia – if you haven’t already. It is something of an oasis, a treasure. Well as my phone is not a smartphone, it’s for text and phone calls only. I use a camera (film or digital). I would never have an iPhone ! If you were diligent about having an archival print made from your digital file wouldn’t that solve the problem of all those lost memories on hard drives? There’s no substitute for rediscovering old prints in a box or album. Future generations will find it a more accessible experience than a film negative too.